Childhood obesity is something really tragic and if left unchecked can lead to serious health and lifestyle issues later on in life. Apart from being subject to immense social ridicule, obese people also face tremendous self-image issues throughout their lives, the situation being worse for those having obesity since childhood. This is something that you as a parent, must take immediate action to address. Childhood obesity can be a marker of disease or genetic factors that predispose one to obesity. Before you start imposing dietary restrictions on your child, you should always consult a licensed medical practitioner and pediatrician to determine the cause for the obesity. Do not automatically assume that your child is obese due to consumption of junk food or high sugar foods; there can be a variety of other factors that might culminate in your child putting on weight. Proper identification is key before you take any corrective measures. 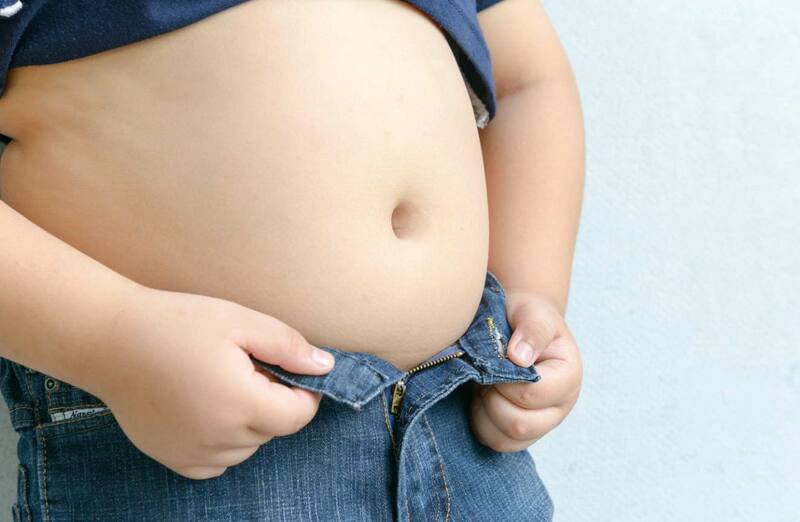 Doctors often find hormonal issues that might predispose children to obesity. In prepubescent children, these problems can be addressed relatively easily as compared to teenagers who have already reached puberty. If you think your child is obese, you should take them to a doctor immediately so that the causes can be identified as soon as possible. Other than hormones, children of obese parents are overwhelmingly more likely to be obese themselves. These genetic factors are unfortunate; however, there might exist strict routines to keep the weight gain in check as the child grows up. If your child however is determined to be otherwise healthy, you need to step in to control their food intake. While you should always follow the advice of your pediatrician and dietitian as to what you might permit your child to eat, you must restrict their access to foods with high sugar content like sodas and candy, junk food and other fatty foods. As parents you might be tempted to give in to their wants and desires but remember that your child is at an age where they cannot make decisions for themselves; if you cannot impose dietary restrictions on your children, it is you who is responsible for their childhood obesity. Other than ensuring they eat healthy and in proper quantity, you must also see to it that they get adequate sleep, rest, and exercise. Restrict the times they are allowed to play video games and encourage them to play outdoors. Joining a competitive sport not only keeps them physically fit but also develops them psychologically and promotes peer bonding. They build social skills by interacting with children of their own age, something that kids today often miss out since there are so many means of entertainment available to children nowadays with the internet and a multitude of devices to consume content from. As a parent, you must encourage good habits and lifestyle choices in your children from the get go. Set the example for them to follow: eat healthy and exercise. You can also ask them to dine with you or go running with you. In the end, you need to take responsibility for your children and set them on the right path.